Voice is the key element in fiction, the one which, in effect, contains and shapes all the other. over the silent print and hear the writer speaking. . . Voice is the music in language. For the next year or so, I’ll be studying voice. Each week, I’ll write about what I’m learning about voice and how to control the voice of your writing. I taught a retreat this spring on the topic and I want to explore it further. This won’t be a theoretical discussion; instead, I want to be practical. What can a writer do to affect voice? Why tackle this question? A friend once got a rejection on a story with an editorial letter that said something to this effect: The story is great, but the voice just isn’t there. And you can’t edit for voice. You can’t teach it. It’s either the right voice or not. I was astounded. As a writing teacher, I definitely think writing can be taught, including voice. I’ve hesitated to write and teach about this for a long time, though, because it’s such a nebulous concept. But this is the year. How can we consciously change the voice of a piece of writing? Let’s find out. How do you define voice? What makes the voice of a piece stand out and how do you create the right voice for your story? Let’s talk. I”d follow your voice anywhere. I love reading it, but even more I love that it helps to dig deeper into mine. Thanks! I read somewhere that voice was the author’s personality on the page. So while the tone and style might change from story to story, the voice would stay the same – it’s what makes all stories of an author recognizably theirs. Since the characters’ voices ought to be distinct, too, I guess that voice can be hard to detect sometimes, but since all characters are parts of the author, there sh0uld be some common quality to them, right? If voice is the author’s stamp of personality, I don’t think it can be taught, per se – we all have already a personality. But I guess what can be taught is to make it clearer and not hide it under blandness or the imitation of other authors’s voices. 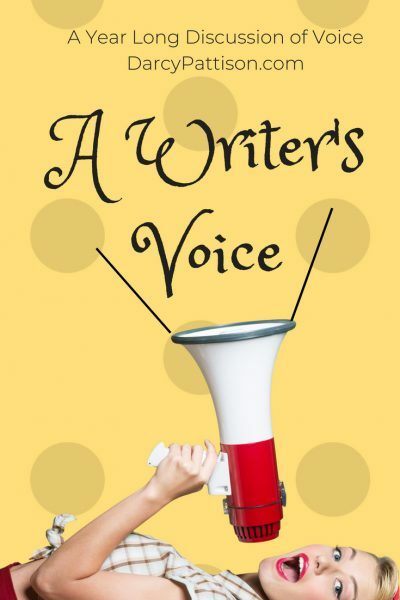 You can and should control the voice of your writing. Everything you do WILL come out in your voice because you will make decisions as you write as to vocabulary, sentence structure, tone, etc. YOU decide. That’s what makes it your voice. What I’m saying is that we need to make conscious choices about voice. We do that by learning what choices are available. I worry about my choices, and trust that the overall cumulative effect of my choices will equal voice.